The National Executive of the Ghana Journalists Association (GJA) has announced that the 2018 Annual General Meeting (AGM) would come off on Friday, October 26 at 0930 hours at the Ghana International Press Centre (GIPC) in Accra. 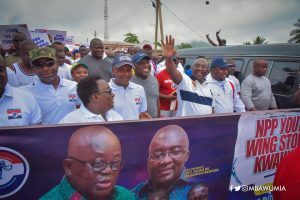 A statement signed by Mr Kofi Yeboah, the General Secretary of the GJA and copied to the Ghana News Agency on Thursday said this was in pursuant to Article 34(f) and per Article 34(a) (ii) of the GJA Constitution of 2004. The agenda to be discussed would be the General Secretary’s Annual Report, audited accounts of the Association, audited financial accounts of the GIPC, Regional Reports and other matters, which the National Council or a member may raise. It said: “The AGM is the highest decision-making body of the Association, and shall be convened by the National Executive in the first quarter of each year.